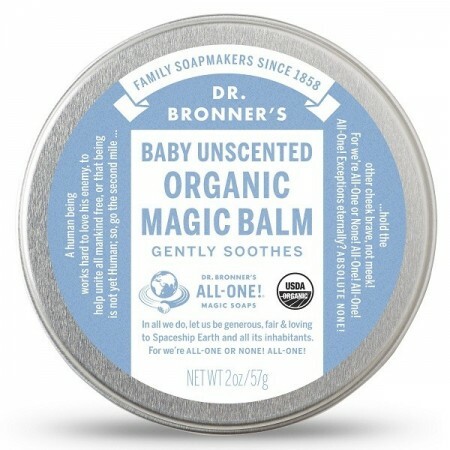 Baby Unscented Organic Magic Balm provides instant relief for dry skin. Soothe skin safely and simply – no synthetic ingredients – certified to the same National Organic Program that certifies food. Made from a soothing blend of organic beeswax, organic coconut, organic avocado oil, organic jojoba oil and organic hemp oil. Use to moisturize-heal chapped-dry skin anywhere on your body. Quickly treat dry hands or cuticles, chapped chins or cheeks – provide relief for chafed skin where needed. Heal recently tattooed skin and brighten up old tattoos. Persea Gratissima (Avocado) Oil,*† Simmondsia Chinensis (Jojoba) Seed Oil,* Cera Alba (Beeswax),* Cocos Nucifera (Coconut) Oil,*† Olea Europaea (Olive) Oil,*† Cannabis Sativa (Hemp) Seed Oil,* Tocopherol * Certified organic. † Certified Fair Trade. 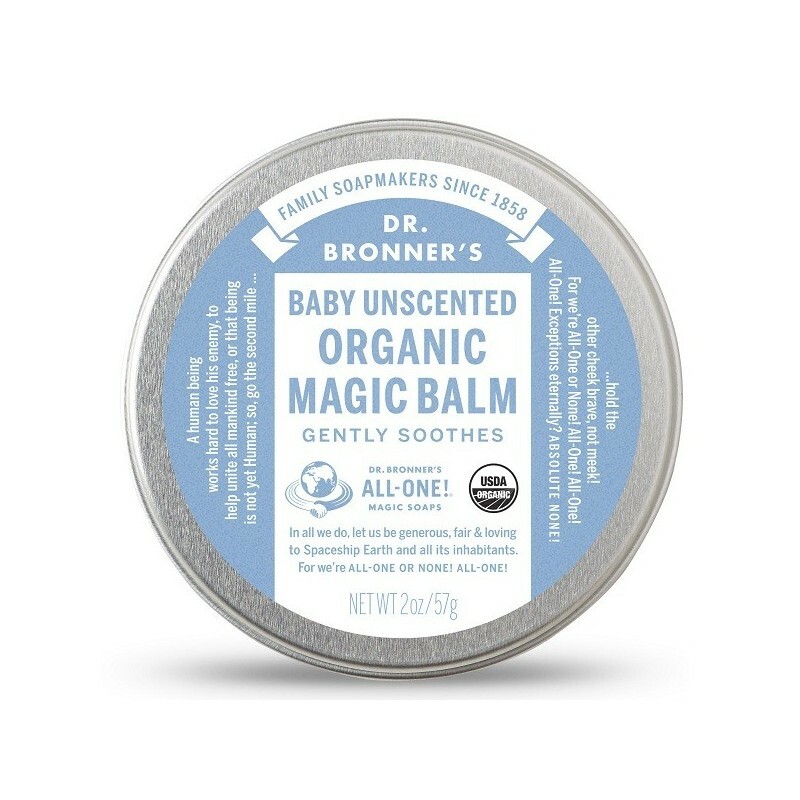 It’s one of my go to product when I know friends have newborns. It’s also a brand I use all the time. I feel safe using it. Such a lovely product, works wonders on my baby's skin. We started using it shortly after she was born and immidiately solved the issue of her dry post-birth skin. Great for baby massage too! Finally found something that I am happy to use on my own body and my baby as well. It works really well, is nourishing and free from nasties! !